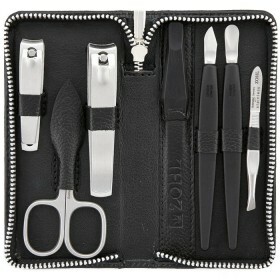 Pocket size manicure set Magneto unveils 2 professional Solingen instruments to keep your nails and eyebrows in a perfect shape. 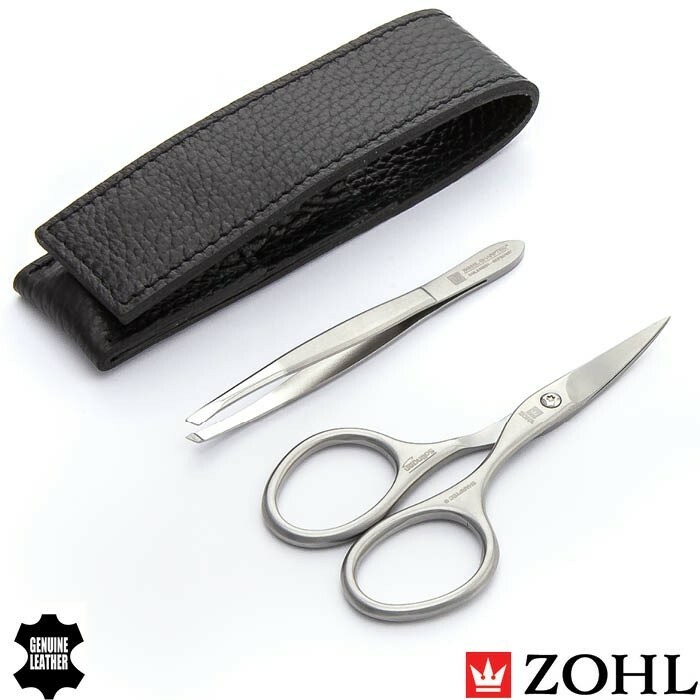 Hand crafted in Germany from surgical stainless steel, the tools delight with long lasting sharpness and precision of the edges. 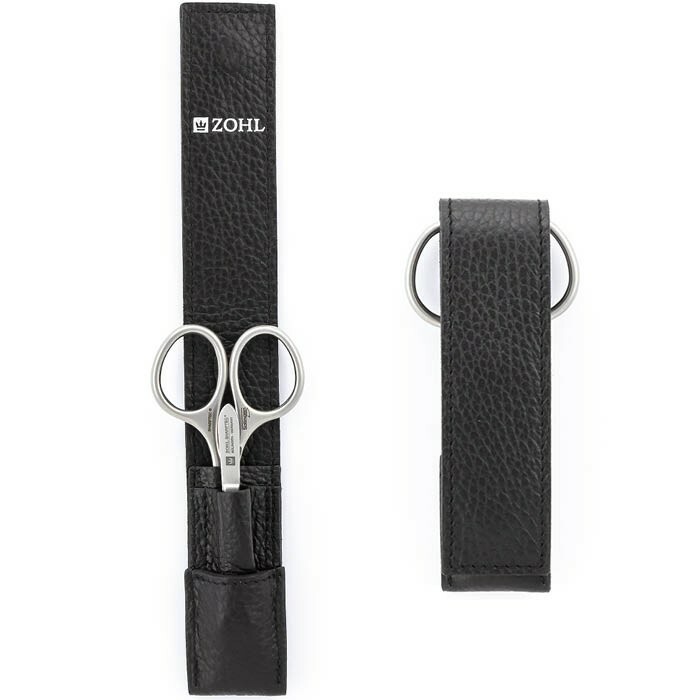 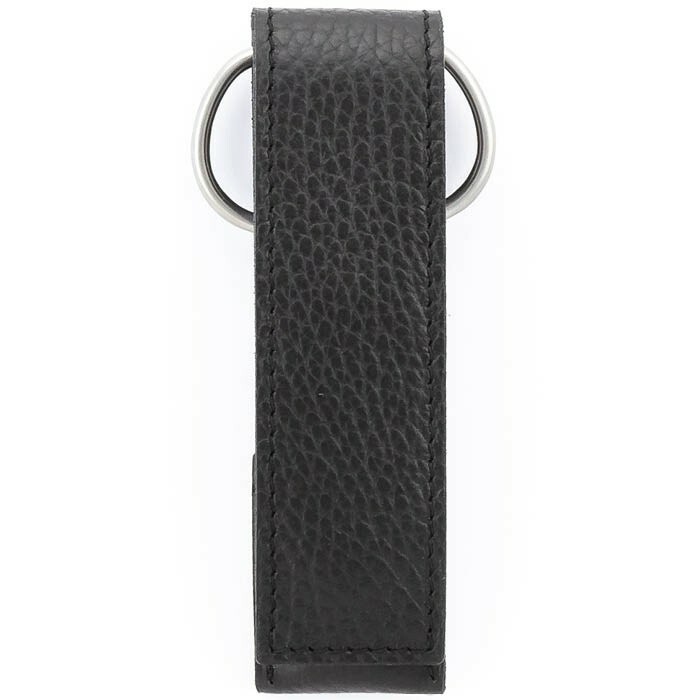 Luxury black leather case with a magnetic closure beautifully nestles professional manicure scissors and high quality eyebrow tweezers, both sitting in individual pockets for added protection of the tips. 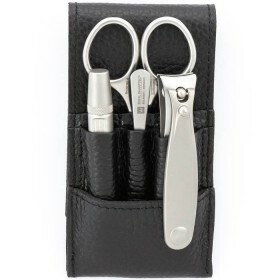 Compact and lightweight, the small manicure set Magneto is perfect for carrying in a handbag or luggage bag, for a quick fix up on the go. 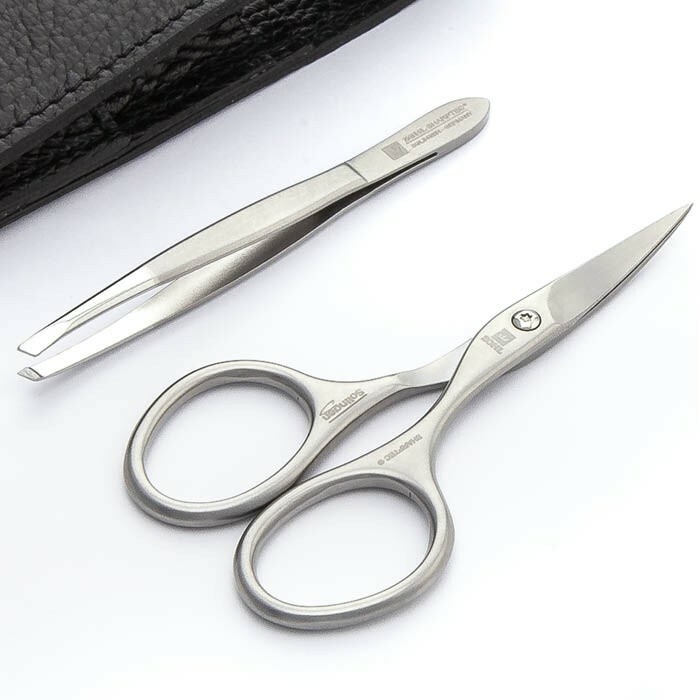 Small on the outside and luxury on the inside, the Solingen manicure set Magneto is a treasure for those who know that only the best tools can create the best look. 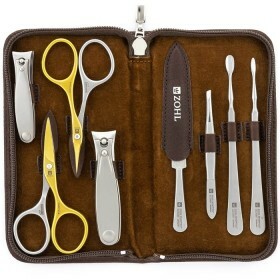 With advanced design and specially hardened stainless steel, this set is guaranteed to give you a very long and reliable service. 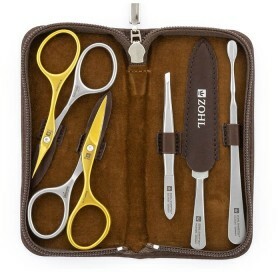 The set is crafted in Solingen, Germany – the capital of the world's finest blades, knives and surgical instruments known for unbeatable durability of the cutting edge. 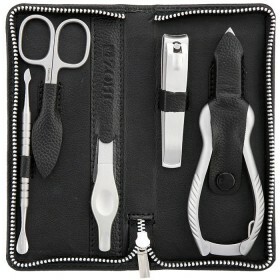 Its SHARPtec instruments represent top quality each made by hand with perfectly sharpened and precise edges. 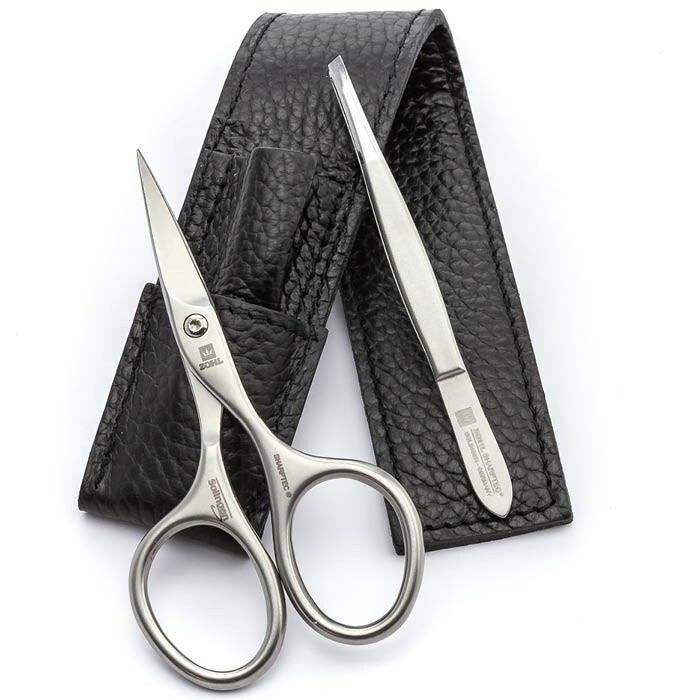 And best of all, they stay sharp and precise through many years thanks to meticulous honing of the blades and very strong grade steel that keeps them primed for a perfect cut, time after time. 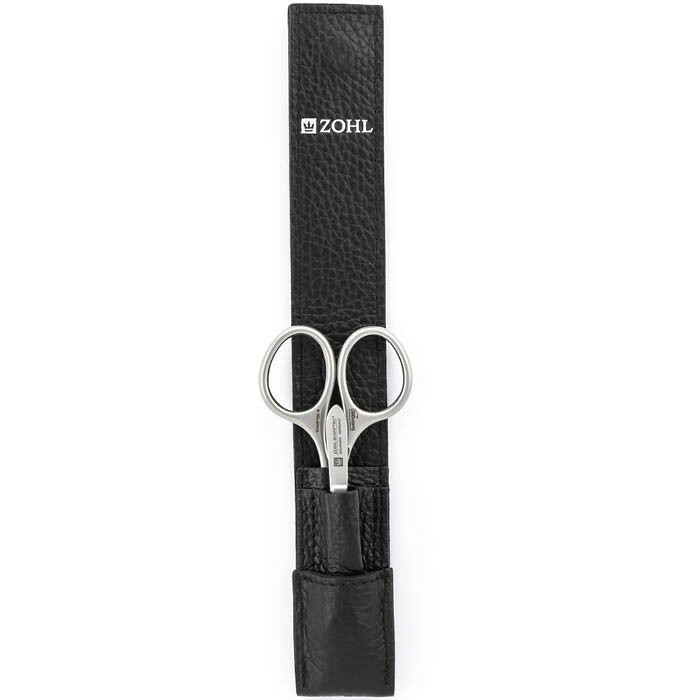 ZOHL Professional Tweezers (9cm) - precision eyebrow tweezers with a slant tip great for plucking stray, stubborn or tiny hairs. 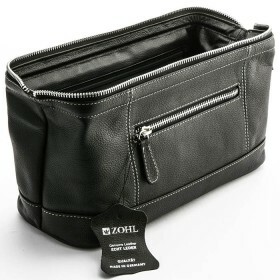 Featuring a magnetic closure and highest quality cowhide, the luxury black leather case secures the tools inside in individual pockets for extra protection when not in use. 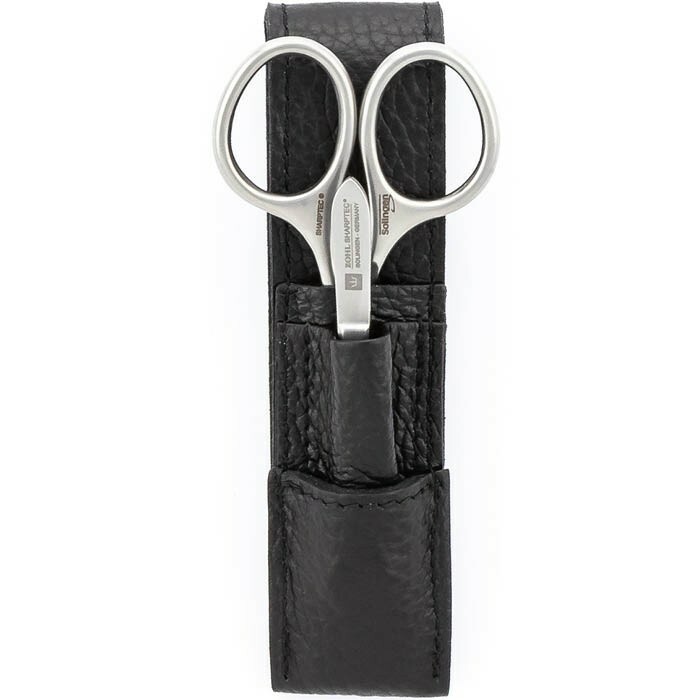 The Magneto is a perfect manicure set to keep in your hand bag or a drawer and will be enjoyed for decades without any need of re-sharpening.